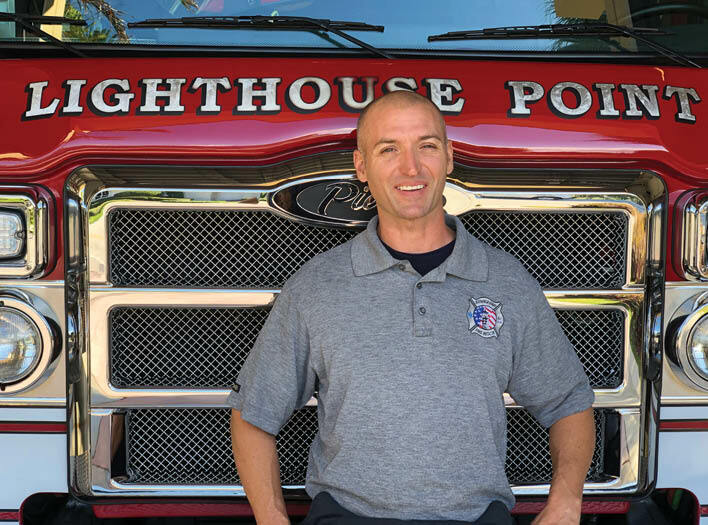 Michael Dell Rocca was named Lighthouse Point's 2018 firefighter of the year. Firefighter Michael Della Rocca was presented the Firefighter of the Year award by Lighthouse Point Fire Chief Shawn Gilmartin. 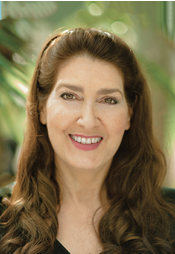 Della Rocca was hired by the Lighthouse Point Fire Department in 2007, just two months after graduating from the Broward Fire Academy in Davie. It was the very first interview he went on for a firefighter paramedic position. Della Rocca is a state certified firefighter paramedic, driver engineer, fire officer and fire inspector. He uses his fire inspector certification to carry out annual fire safety inspections of businesses and multi-family residences throughout Lighthouse Point, to ensure they meet fire safety codes. The department has a total of six fire inspectors, who, collectively, perform about 200-300 fire inspections per year in between their firefighter-paramedic duties, said Della Rocca. Gilmartin praised Della Rocca for “going above and beyond” in his role as a fire inspector and for serving as an “ambassador” of the fire department through his positive interactions with the city’s business and property owners. Della Rocca grew up in West Boca, but spent a lot of time in Lighthouse Point visiting his aunts and uncles who lived here. He said he likes the city’s “small town” feel, and plans to be a lifelong Lighthouse Point firefighter. Before setting out to pursue a career in the fire service, Della Rocca’s “adventurous spirit” led him to travel and explore different parts of the country. His interest in becoming a firefighter was ignited while he was living in California. One of his favorite sports was mountain biking, but It seemed every time he and a group would go for a ride on trails in the back woods, someone would get hurt. He decided to take a basic medical training class at the community college, and part of the program was doing ride-alongs with fire departments. One of the things Della Rocca likes most about his job is the excitement and unpredictability of not knowing what the next call is going to bring, but also having the training to be able to solve different problems in different ways.